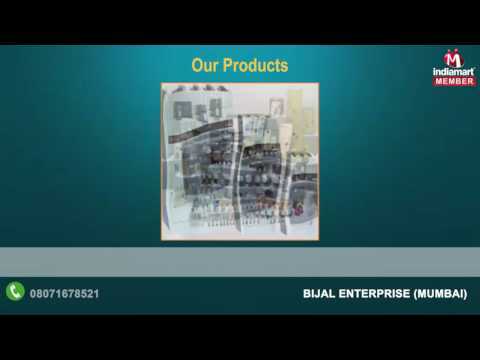 Established in the year 2014, Bijal Enterprise is counted amongst the prominent manufacturers, suppliers, distributors, wholesalers, traders and retailers of an incomparable array of Power Contactor and Control Switch. The provided range also include Power Contactor, Control Switch and Din Type HRC Fuses. Widely demanded among our esteemed patrons, these products are exceedingly acclaimed in the market for some excellent attributes such as supreme quality, superior finish, easy installation, durability, excellent performance, sturdiness, rugged construction, less maintenance and long service life. Our professionals fabricate and develop the complete product range using quality-assured raw material, which aids in improving the products' quality and make them highly desirable in this challenging industry. To come up with modern product range, we have installed innovative techniques in our fabricating procedure. We also provide AMC Services.